At worst, faulty electrics can be a serious fire hazard and can lead to injury or electrocution. This is why electrics were brought in to the building regulations. Existing wiring installations are not covered, but if you make significant alterations or new additions to the wiring in your home, the regulations come into force. If you are thinking of buying a property more than 25 years old, it is important to check that the wiring is up to date before you buy. Ideally, you will get an idea of what work is required and an estimate of the likely cost so that you can take this into account when assessing the feasibility of the project and how much to offer. Even if you already own the property you are renovating, it is important to know early on if any rewiring work will be necessary, as it can be very disruptive to the fabric and decor of the building, and so is best completed early on, before any re-plastering or redecorating work takes place. If a property has not already been rewired within the last 25-30 years, the chances are it will need upgrading at least in part in order to bring it up to current standards. The wiring may be potentially dangerous and may not be able to cope with the demands of modern living. If you plan major remodelling work that constitutes a material alteration as defined by the Building Regulations, it is likely that you will need to rewire part, if not all, of the property, including upgrading the consumer unit (fuse box). If you are extending your home, or converting an attic or garage, this will constitute new work and therefore all of the new wiring will have to conform to Electrical Safety, and all existing wiring will have to be improved to ensure that it is able to carry the additional loads safely, it is earthed to current requirements and that cross bonding is satisfactory. Where you are extending or remodelling, the rest of the existing wiring does not have to be upgraded, except where upgrading is required by the energy efficiency requirements of the Building Regulations, i.e. central heating controls. You should be able to tell if a house has been rewired recently by inspecting exposed parts of the wiring and by the electricity meter and fuse box (now known as the consumer unit). You can ask to do this when being shown around a property you are thinking of buying, or by inspecting your home. If there is an old-fashioned-style fuse box, with big white ceramic-style fuses, then the chances are that the property needs completely rewiring. With two or more sets of circuits, it can be very difficult to know if all of them have been disconnected when undertaking work and this is unsafe. Another tell-tale sign that a rewire may be necessary is a mix of different socket and switch styles. 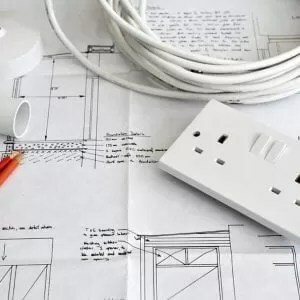 This could indicate that a partial rewire has taken place, especially if there is evidence of surface-mounted wiring running along skirting boards and up walls. In some rare cases of properties that have not been renovated in decades, you may still find example of old round pin sockets or original dolly switches, both of which are a sure sign that a rewire is necessary. Another clue is the colour and style of the cabling, which you should be able to see at light fittings, around the fuse box. Modern electrical installations are wired in PVCu insulated cable coloured grey or white, and a modern consumer unit will have circuit breakers and residual circuit devices (RCDs). What if it has not Been Rewired? Unless the wiring is the modern PVCu coated type, then a rewire is likely to be necessary. If you see any old rubber insulated cabling, fabric insulated cabling, or lead insulated cabling then it needs replacing as the insulation can rot and/or break down, leading to short circuiting: a fire hazard and potential electrocution. Even older PVCu cable may need replacing if it is not twin earthed cabling (with a second earth cable running within the outer sleeve), but this may only be evident if you are able to remove a switch or socket faceplate and look closely. Checking for this conducting the viewing, and certainly is not advisable unless you are able to turn off the mains first. If you are in any doubt, assume that a total rewire is required and budget accordingly. It may be that the system can be improved for less money by upgrading earthing and cross bonding. How Much Does an Electrician’s Survey Cost? 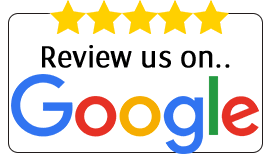 If you proceed with the project, then before exchanging contracts you can arrange to get a qualified electrician to do a survey and find out exactly what work is required. An electrician will typically charge $250-400 for a survey with a verbal report. A full electrical survey with a written report is likely to cost $400-500. Rewiring a property is messy, disruptive work. It happens in two stages: first fix, when cables and wiring are installed, and second fix when everything is joined up or made ‘live’, when the front faces of sockets, switches and lights are fitted. Those runs of wires go everywhere: under floors, through walls and across ceilings, so first fix is best done without carpets or furniture, so floorboards can be lifted and ceilings cut into. To position new sockets and switches at legally correct heights, plaster generally needs to be chased into, too. This is why it’s important to plan what’s going where in each room before starting the first fix stage, so you know where you need lights, plug points and any other electrically driven items. Additions mid-way through are costly and time consuming. One way to prepare is by drawing a plan of your home with each room on graph paper and marking up the position of beds, sofas, kitchen units and so on. You can then consider the lighting and switches required. Little things like under-cabinet and bedside lighting are easy to do when planned from the start, but costly to undertake later. As well as thinking about task, mood and feature lighting, remember smoke and heat alarms, garden RCD safety sockets and external security lights. Today we are a super-consuming society hooked on ‘tech’. In terms of electrics, this means mood lighting, surround sound, high-speed Wi-Fi, kitchen gadgets and TVs in the bathroom. Electrical circuits must be up to the job — and you need to plan ahead. Do you want ethernet cable to every room to ensure uninterrupted Wi-Fi (or perhaps just living spaces and bedrooms)? Will you want speakers in each room or a security system? Full rewires usually happen when homes are empty, but for hardened homeowners it is possible to live in one room while having works happen around you. If you can’t move out, then dust-cover furniture and expensive items, preferably moving electrical equipment into a separate room, as this is not your electrician’s responsibility. Get your electrician to install the new consumer unit and prep your habitable room with a temporary supply of sockets. How Much Will Rewiring Cost? The cost of rewiring, including first and second fix with standard sockets and switches and excluding light fittings, should be around $1500-$2500 for a kitchen extension. Toronto average cost for rewiring a three-bed semi is $5000; the price will vary depending on where you live. Other variables include the size of the house, how accessible/empty the property is and the complexity and standard of the finish. Very often, a full rewire can be avoided, however; providing the existing cabling is sound and able to carry any additional loads, it also may be possible to upgrade it by adding a modern consumer unit, proper earthing arrangements and cross bonding. How Long Will the Rewiring Take? A kitchen rewire may take two days, a three-bed semi probably two days to first fix, then the same again to second fix. A larger property will take much longer. What is Involved When Rewiring? If rewiring work is required, it should be undertaken at first fix stage (before plastering), at the same time as any central heating and plumbing work. New cabling cannot be surface mounted and so the installation will involve lifting the floor coverings and floorboards and possibly the skirting boards too, routing out channels in the walls and possibly in some ceilings that are inaccessible from above. All of this work will cause major disruption and so it is best not to try and live around the work if possible. As well as installing new cabling, first fix stage will involve fitting new back boxes for all sockets and switches. In addition to rewiring for all power and lighting circuits, it is a good opportunity to rewire for modern central heating controls, alarms, smoke detectors and doorbells, to add outdoor lighting and sockets, and to rewire the telephones and television aerial sockets. It is also worth redesigning the wiring plan for sockets and switches to make sure it meets your needs and those of modern housebuyers. Think about specifying two-way or even three-way switching for hallways and landings and other rooms with more than one main access. For a high-value property, consider adding a separate 2 amp circuit with separate switching for table and standard lamps in the main living rooms and principal bedrooms. It may also be worth considering adding automated lighting, home network cablings, speaker cabling and other modern technology. If the mains connection and meter needs moving, this will have to be undertaken by the local electricity utility company. There will be a charge and several weeks notice will be needed. Once the first fix stage has been completed, the property can be re-plastered or the walls and ceilings filled and made good, and the flooring replaced. The second fix work can then proceed fitting sockets and switch plates, light fittings, the consumer unit and wiring any electric fans, cookers, extractor hoods, electric showers and the immersion heater, if there is a hot water storage cylinder. If you are working on a period building using vernacular materials, such as oak frame, cob or solid stonework, make sure your electrician is aware of this and has worked on such buildings. Earth bonding, also known as equipotential bonding and cross bonding, is essential for any electrical installation to be safe. Even if your renovation project does not require rewiring, make certain that the kitchen and bathrooms are earth bonded. Earth bonding will ensure that if a fault should occur causing the metal plumbing, bath, taps, radiators or boiler casing to become live, i.e. for current to flow through them, this will not lead to electrocution. The reason the lack of earth bonding is often missed is because it does not affect the functioning of the electrical circuits in the house. To see if your project has been earth bonded, look underneath the sink or bath for metal clamps around the copper pipes with green and yellow striped earth cable attached. All pipes in and out of the boiler and heating systems need earth bonding. If you are building with plastic pipe instead of copper, you do not need to earth appliances but you have to earth the mains stopcock. If this is not the case, then arrange for this work to be done as it is a crucial safety requirement. There are special restrictions on electrical work in wet areas where there is the greatest danger of electrocution. No power sockets are allowed other than shaver sockets, which must be located away from the splash zone from showers. 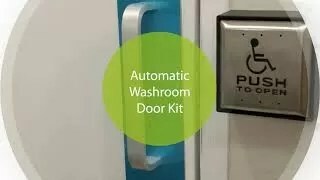 Switches within a bathroom should be pull-cord operation, or IR-type switches powered by battery or with just a very lowvoltage signal cable, such as Cat5e. Electrical appliances to be used in wet or damp places (except shaver points), including electric showers, light fittings and ventilation fans, must have levels of moisture and mechanical protection, known as IP or Ingress Protection numbers. The IP rating has the letters IP followed by two characters. The first specifies the degree of protection against particles or solid objects. The second specifies the degree of protection against liquids. The I.E.E. Wiring regulations (BS 7671: 2001 Section 601) has mandatory requirements for areas containing a bath or shower. These safety standards are measured in zones, with the requirements for each zone being based on the perceived degree of risk of electric shock. There are four zone categories: 0, 1, 2 and 3. Zone 0: Inside the bath or shower. Any fittings used here must be SELV (max 12V) and be rated IPX7 (protected against immersion in water). Zone 1: Above the bath or shower to a height of 2.25m. 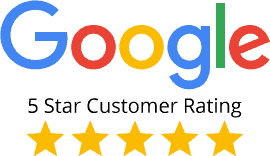 A minimum rating of IPX4 is required. Zone 2: The area stretching to 0.6m outside the bath or shower and above the bath or shower if over 2.25m. An IP rating of at least IPX4 is required. Zone 3: Anywhere outside zones 0, 1 and 2. Where water jets are not to be used for cleaning purposes, the general rules of BS7671 apply. For detailed information, refer to the I.E.E. Wiring regulations (BS 7671: 2001 Section 601). DIY electrical work, rewiring work and alterations to electrical installations are covered by the Building Regulations Part P: Electrical Safety. 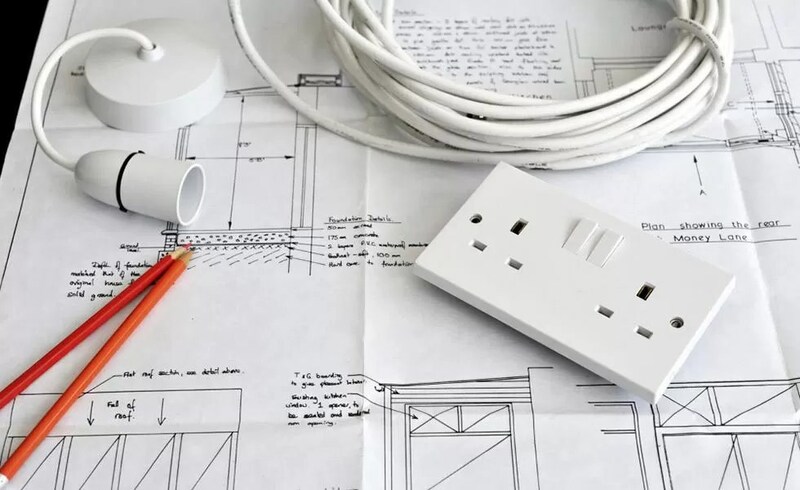 You can still undertake minor additions or alterations to existing circuits, such as adding a new socket or light fitting without having to make a Building Regulations application, providing it is not in a wet area, such as a kitchen or bathroom, outdoors, or connected directly into the consumer unit. Repairs, replacements and maintenance work are not notifiable. You can still undertake other rewiring work yourself too, including in wet areas, but you must make a Building Regulations application (current cost around $250 including inspection fee) and arrange to have the work inspected both before and after completion by a qualified electrician registered with one of the competent persons schemes. They will check the work complies with the regulations and issue a safety certificate. Not all electricians offer this service and many are not prepared to sign off someone else’s work. There is a risk with this approach, both from a safety and a financial perspective. Remember that the wiring regulations require all cables buried in walls to run either vertically or horizontally from sockets. This really helps the follow-on trades who may be screwing fixings into walls for curtain rails, radiators, shelving or kitchen units. Some amateurs run cable at angles across walls in order to save a little cable without realising the potential danger this may cause. Like many trades, the electrician’s job is split into first and second fix. First fix involves all of the wiring, including circuits and back boxes for power, lighting (indoors and out), shavers, hard-wired burglar alarms, smoke detectors and doorbells, plus telephone, television, data, speaker, central heating controls and other hidden cabling. Second fix involves connecting up the consumer unit, adding light fittings, faceplates for switches and sockets, connecting the boiler, immersion heater and central heating controls. Electricians usually prefer to work on a supply-and-fix basis, meaning they provide labour and materials (wiring, back boxes etc.). For at least the first fix stage, many electrical wholesalers will only sell to the trade. For second fix, most electricians will be happy for you to supply your own sockets, switches and light fittings, although you must let them know that you intend to do this. Electricians usually work to a fixed price, although it is usual to agree rates for each additional power point, switch or light fitting added. The price will be calculated using measured rates according to how long they expect the work to take, how many circuits there are and the number of power points, light fittings and switches. They will also take into account whether the work is a new build or extension, in which case they can just face-fix the circuits, or a renovation, in which case they may have to lift floors and chase out plasterwork to conceal the wiring which, therefore, takes longer and costs more. You can try and keep costs down with a friendly electrician by prepping everything for them, such as chasing out plasterwork, lifting floorboards and generally making access easy to save time. As long as both you and your electrician are aware at the start of works of the division of tasks, the competent renovator can chase plaster out to exactly where they want sockets and switches, buy the switches, sockets and lighting and maybe even assist with the installation.